Send your love up, up and away! 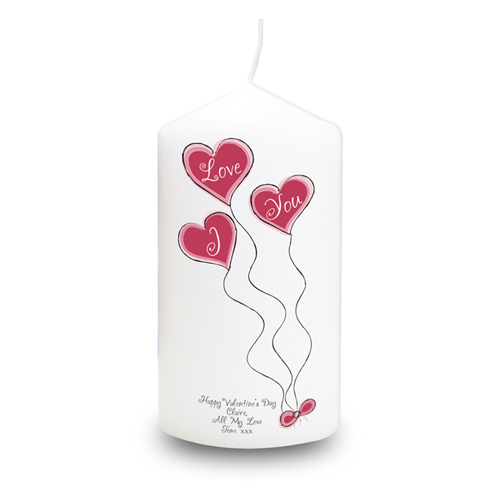 A lovely candle with a gorgeous heart balloon design with the words 'I Love You' inside the hearts. You can personalise this candle with any message over 4 lines with 20 characters on each line. Personalise this candle with any message over 4 lines with 20 characters on each line.